We deliver 2 meals each day, Monday through Friday, one hot and one cold. The cost for both meals is $9.00 per day. Should you require only one meal, the cost is $4.50. Clients may receive meals on any number of weekdays that best suits their schedules – one to five days each week. 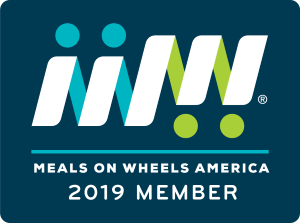 Chestnut Hill Meals on Wheels provides home-delivered meals, Monday through Friday, for all our seniors and homebound neighbors who cannot prepare nutritious meals for themselves and do not live with someone who can provide balanced meals on a regular basis. This includes individuals with disabilities who need our meals to support their health and independence on a long-term basis, as well as adults with temporary needs (such as recuperation from surgery or a hospital stay).